As Realtors, we’ve been saying for some time that the nation’s housing market is on the mend. But now, the national news media and some of the industry’s most widely followed analysts are saying the same thing. And consumers are starting to listen – and make their move. A number of recent reports show that the market from coast to coast has stabilized. Prices have leveled off and started inching up in many areas. Sales are rebounding nicely across the country. And in some communities, a shortage of homes on the market has led to multiple offers and bidding wars for homes, pushing prices higher than they’ve been in years. This edition of Reality Check is focused on getting the message out to buyers that now’s the time to get off the sidelines and jump back into the market. Although prices have begun to recover, they’re still extremely attractive. And interest rates are near historic lows. That combination adds up to this fact: Affordability hasn’t been this good in more than 40 years! I know that buyers who miss this window of opportunity will look back years from now and wonder why they didn’t make their move. Let’s help them take full advantage of the best time we’ve seen in a generation to own a home. Click here for an easy-to-use “soft” version that you may post to your social networks, blogs, etc. We hope you enjoy this edition of Reality Check. As always, if you have ideas of topics you’d like to see covered in future editions, please e-mail us. We look forward to hearing from you. Denver Mayor Michael Hancock presented the city’s strategic plan to deliver a “world-class city where everyone matters” during the third annual Colorado Real Estate & Economic Summit held Thursday, March 8, 2012 at the PPA Convention and Event Center in Denver. Sponsored by Coldwell Banker and Coldwell Banker Previews International, the world-class summit included a high-profile lineup of economic and real estate experts who provided comprehensive overviews of the housing market locally and nationally, in addition to economic projections for the future. The mayor’s one-year strategic economic development plan, called JumpStart 2012, outlines major steps the Denver Office of Economic Development will make to grow business development, lending and investment in the community, and talent development for a world-class workforce. Hancock’s address noted that the economy is improving, with Denver adding 10,000 more jobs during the past year. He also emphasized that Denver is ranked as the number one most desirable place to live in the nation among major metropolitan areas, and that the metro area has the second best real estate market in the country. JumpStart 2012’s three primary focuses are the creation of more jobs, educating Denver’s youth so that no children get left behind, and markedly improving all city departments and agencies. Paul Washington, executive director of the Denver Office of Economic Development, outlined areas of potential development for the city, including 16,000 acres of property at Denver International Airport where an “Aerotropolis” centered around the airport would allow businesses to develop in close proximity to DIA and benefit from the adjacency. Other potential developments include 24 miles of river frontage along the South Platte River. Washington also detailed the mayor’s Net-Zero Energy concept where a community consumes as much energy as it produces. The vision entails creating a mixed-use development that takes this concept to a higher level by broadening the scope to include sustainability in water, waste, and integration of natural systems into the built environment. Chris Mygatt, president of Coldwell Banker Residential Brokerage in Colorado, presented insightful statistics on the local and national real estate market. In the fourth quarter of 2011, the total number of properties sold in the metro area was up 2.8 percent and up 13.2 percent to date in 2012. The total number of inventory homes in the area was down 22.4 percent in 2011 from the previous year, and down 41.8 percent so far in 2012. Mygatt also provided an overview of metro Denver’s strong luxury home market. Homes that sold at $500,000 or more increased by 4.4 percent in 2011 over the prior year. Other keynote speakers during the sold-out summit included: Michael Dirrane, executive vice president of corporate sales for PHH Mortgage; Mark Samuelson, real estate columnist and blogger for the Denver Post; Bryan Pierce, director of marketing and outreach for PEMCO, Ltd.; and Mark Snead, chief economist for the Federal Reserve Bank of Kansas City, Denver branch. For a comprehensive overview of the 2012 Colorado Real Estate & Economic Summit, including videos, visit www.ColoradoEconomicSummit.com. If you are having trouble viewing this e-mail, click here. I am pleased to share the exciting news that our parent company, Realogy, has received the prestigious designation of being named among the 2012 World’s Most Ethical Companies, awarded by the Ethisphere® Institute, a leading international business ethics think-tank. Realogy was chosen from 5,000 nominated companies headquartered in 100 different countries and across 36 industries. Companies were evaluated using a rigorous proprietary methodology, based on their ethics and compliance program, reputation, leadership and innovation, governance, corporate citizenship and responsibility, and ethical culture. Realogy earned its placement on this prestigious list by implementing and maintaining upright business practices and initiatives that are instrumental to the company’s success, benefit the community, and raise the bar for ethical standards within our industry. On behalf of Coldwell Banker Residential Brokerage, we are proud to be part of an organization that is recognized as a role model for other companies to follow based on the ethics and integrity demonstrated in its business practices. It’s no secret that our nation’s economic recovery has been much slower and more tepid than any of us would like. Unemployment has remained stubbornly high and the GDP has taken only small steps forward in the past couple of years. But as the new year moves ahead, it’s truly heartening to finally seem some real improvement in both the U.S. economy and the jobs market. Those of us in the real estate business know how critical both employment and economic health are to the wellbeing of the housing market. If a client is out of work or worried he or she may soon be, they’re not very likely to buy a home. In this Reality Check we look at some encouraging economic reports issued in recent weeks by the U.S. Department of Labor and the Bureau of Economic Analysis. In addition to an improving economy we’ve also seen a strong upward move in the stock market, which can only help consumer confidence. When our taxable accounts and 401ks start rising again it makes all of us more willing to take a chance on major purchases, including a home. So what does this all for you and your clients? We may be at an important crossroads, a time when the economy is finally starting to gain traction and yet homes are still at record affordability. Interest rates as of this writing remain near historic lows and home prices continue to be very affordable. History has taught us that as the economy moves higher, both prices and interest rates tend to follow. If you have buyers who are still sitting on the sidelines waiting for prices to come down, this is the time to educate them on the reality of the market and the economy so they don’t miss out on this advantageous point in time to buy a home. Visit www.coloradoeconomicsummit.com to reserve the last of the tickets that still remain. Coldwell Banker Residential Brokerage in Boulder recently raised nearly $7,500 for the Salvation Army over several days in December. Agents with Coldwell Banker Residential Brokerage, in addition to their friends and colleagues, volunteered as kettle bell ringers at the 28th Street Safeway store in Boulder. Guertler has been organizing and scheduling the fundraising effort for the Salvation Army for more than 10 years. The Salvation Army, an international movement, is an evangelical part of the Christian Church. For more information, visit www.salvationarmyusa.org. The Coldwell Banker Residential Brokerage office in Boulder is located at 2700 Canyon Boulevard, Suite 200, and can be reached at 303.449.5000. Guertler may be reached directly at 303.579.4942 or via e-mail at scguertler@yahoo.com. 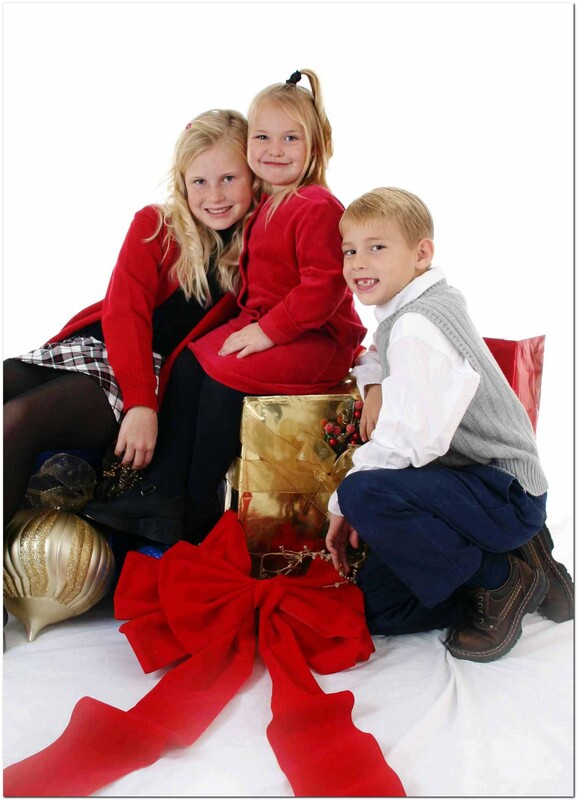 Photos sessions with or without Santa are scheduled from 10:00 a.m. to 1:30 p.m. and from 2:00 p.m. to 4:30 p.m. on December 3rd.Â This year, in support of Toys for Tots, Denver Santa and Santa Cops, Coldwell Banker Residential Brokerage is proudly accepting new or gently used unwrapped toys at each of the companyâ€™s holiday photo locations.Â The donated toys will benefit those less fortunate in metro Denver and Front Range communities this holiday season.Â There is no obligation to donate and everyone gets a free picture. Please visit www.coloradohomes.com to find the Coldwell Banker Residential Brokerage office near you. 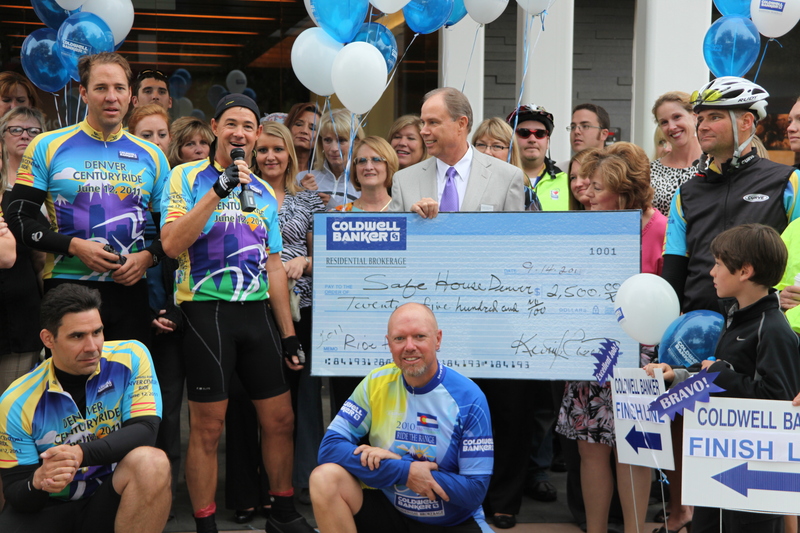 DENVER, Colo. – October 24, 2011 – Coldwell Banker Residential Brokerage, Colorado’s leading real estate services company, has raised nearly $26,000 to benefit local charities through the company’s fifth-annual Ride the Range cycling held in September. These funds are being distributed to preferred charities and organizations through the Coldwell Banker Community Foundation. Charities and organizations benefiting from Ride the Range include The Rocky Mountain Children’s Law Center, the Leukemia & Lymphoma Society, the Boulder Humane Society, Urban Peak, Step 13 to Fight Homelessness, The Alzheimer’s Foundation, Safe House Denver, Mount Evans Hospice, Homes For Our Troops, Youth Opportunity Foundation, The Parker Task Force, and Homes for Vets. Sponsors of this year’s Ride the Range event include 5 Star Talent Entertainment, Coldwell Banker Home Protection Plan, Arrow Graphics, The Broadmoor Hotel, CB Direct Connect, Buehler Companies, Elitch Gardens, Coldwell Banker Home Loans, Curve, Colorado Homes & Lifestyles magazine, Comcast Spotlight, Colorado Expression magazine, Merrill Corporation, Timeless Expressions Photography, and KCDO-TV. Additional sponsors include Eldorado Natural Spring Water, The Denver Post, Denver Life, Koelbel Company, Guardian Title, Hillside Software, Spotlight Home Tours, Coldwell Banker Previews, Denver Concierge, Upstream Imaging.com, Xpress Docs, Marriott Boulder, Residence Inn, Town Place Suites, Rendezvous Colorado, and Rockin Media. A team of 20 core riders rode their bicycles more than 250 miles from Colorado Springs to Denver and Evergreen, on to Boulder and Longmont and back to Denver, to raise awareness and funds for local charities. Joining the riders this year was Bruce Zipf, president and chief executive officer of NRT, the parent company of Coldwell Banker Residential Brokerage, along with other NRT representatives. For more information on the Ride the Range charity event, visit online at www.cbridetherange.com. Coldwell Banker Residential Brokerage, a leading residential real estate brokerage company in Colorado, operates 14 offices with 1,040 sales associates serving the communities of the Denver area. The company offers residential and commercial brokerage, corporate relocation and mortgage services. Through its internationally renowned Coldwell Banker Previews® program, the company is widely recognized for its expertise in the luxury housing market. Coldwell Banker Residential Brokerage, online at www.ColoradoHomes.com, is part of NRT LLC, the nation’s largest residential real estate brokerage company. NRT, a subsidiary of Realogy Corporation, operates Realogy’s company-owned real estate brokerage offices. For more information please visit www.ColoradoHomes.com or call 925.275.3085. 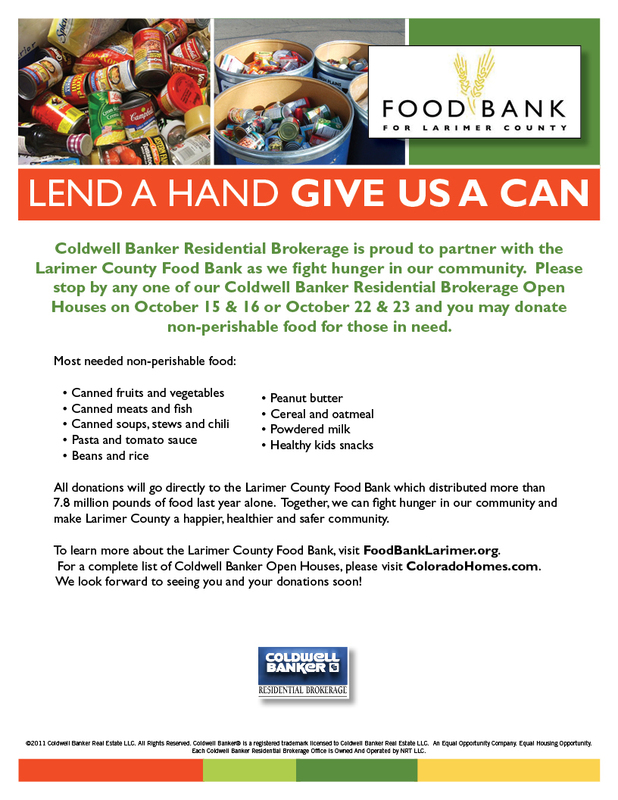 Coldwell Banker is proud to partner with the Larimer County Food Bank as we fight hunger in our community. Please stop by any one of our Coldwell Banker Residential Brokerage Open Houses on October 15 & 16 or October 22 & 23 and you may donate non-perishable food for those in need. All donations will go directly to the Larimer County Food Bank which distributed more than 7.8 million pounds of food last year alone. To learn more about the Larimer County Food Bank, visit FoodBankLarimer.org. For a complete list of Coldwell Banker Open Houses, please visit ColoradoHomes.com!